Self-driving has been widely talked about when it comes to ‘concept vehicles,’ yet Sandvik’s automated loaders and trucks have been working in real mines for over 20 years. That’s more than 2 million operating hours of self-driving underground and, at the same time, there have been zero accidents involving people. Recently Sandvik launched its next generation. For the first time ever, the loader’s bucket filling has been automated. This means that from loading to hauling and dumping, the whole production cycle can be fully automated. Since the start of developing self-driving in the 1990s, Sandvik’s focus has remained the same; to remove people from potentially hazardous underground environments and to improve its customers’ productivity, but it’s the technology that has understandably moved on. Sandvik has achieved this through a robust and intelligent system that is able to continuously evolve. You need to be able to develop technology that is durable and that will last for years. In fact, Sandvik’s automated system means that its loaders and trucks learn the routes the very first time they enter a tunnel. The vehicle’s intelligent system, guided by a set of lasers, maps out and records a path. Then Sandvik’s patented algorithms, together with sensors and gyroscopes, ensure the machine knows where to go underground, where GPS is not available. Above ground, in a comfortable control room, an operator can see exactly where the machine is going via the onboard cameras. Operators can prompt the machine when and where to go. But it’s the intelligent system and algorithms that do all the hard work: following the determined route, calculating the speed, controlling the brakes, steering, loading, hauling and dumping — everything. Unlike equipment above ground, underground loaders are articulated vehicles designed to move in both directions, forward and reverse, at the same speed. They are highly maneuverable in narrow tunnels. The machines are also built to withstand altitude, heat, water and corrosive environments, among other conditions down in a mine. And it’s these environments that were a key driver for automation all those years ago. It is great to test your own ideas in a realistic environment. Sandvik is able to put new innovation and technology through its paces at its underground test mine in Tampere, Finland. “We test our technologies to ensure they are robust, fit for purpose and safe for the underground mining environment,” says Wayne Scrivens, Vice President Product Line, Load and Haul, Sandvik. Annukka Kokkonen, Research Engineer for Research and Technology Development at Sandvik, works in the test mine. 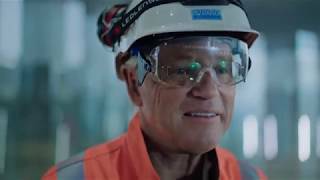 Thorough testing, combined with close customer collaboration, helps ensure that Sandvik develops solutions that help its customers solve their biggest challenges. 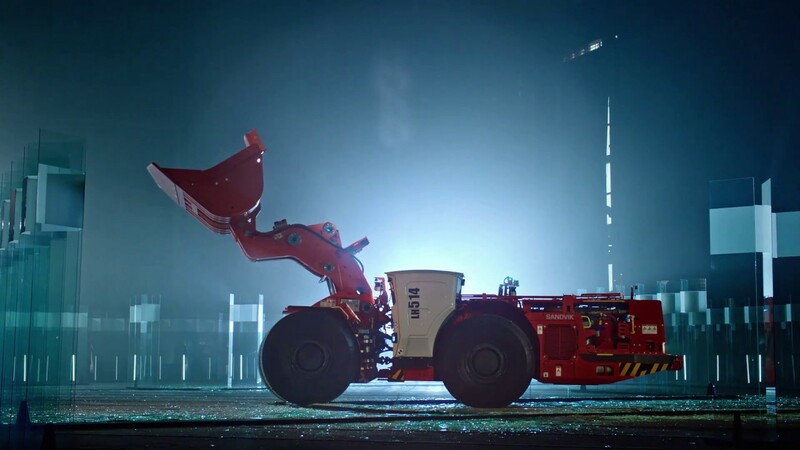 Besides automation, Sandvik has also been making waves in the electrification of its underground equipment for years. In the 1980s the company launched the world’s first electric cable loader. In 2016 Sandvik introduced a battery-powered loader — giving the same freedom of movement as a diesel engine, but with lower heat and noise emissions and zero exhaust gas emissions underground. And the future is not so far away with projects like Borden Lake in Ontario, Canada. Sandvik is partnering with gold producer Goldcorp to develop one of the world’s first all-electric mines. This means cleaner air, fewer emissions and lower costs.